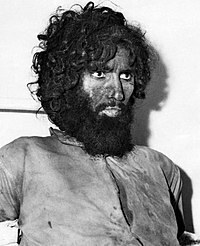 Juhayman ibn Muhammad ibn Sayf al-Otaybi (Arabic : جهيمان بن محمد بن سيف العتيبي‎‎16 September 1936   – 9 January 1980) was a Saudi militant and former Saudi Arabian soldier who in 1979 led the Grand Mosque seizure of the Masjid al Haram in Mecca, Islam's holiest site, to protest against the Saudi monarchy and the House of Saud. In Sunni Islam, the ulama, are the guardians, transmitters and interpreters of religious knowledge, of Islamic doctrine and law. 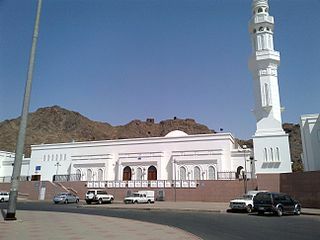 On 20 November 1979, the first day of the Islamic year 1400, the Masjid al-Haram was seized by a well-organized group of 400 to 500 men under al-Otaybi's leadership. A siege lasted more than two weeks before Saudi Special Forces broke into the Mosque. Pakistan's Special Services Group (SSG) also took part in the operation. French Special Forces provided a special tear gas called CB which prevents aggressiveness and slows down breathing. al-Otaybi was executed by the Saudi authorities, in public, on 9 January 1980, in Mecca. Tear gas, formally known as a lachrymator agent or lachrymator, sometimes colloquially known as mace, is a chemical weapon that causes severe eye and respiratory pain, skin irritation, bleeding, and even blindness. In the eye, it stimulates the nerves of the lacrimal gland to produce tears. Common lachrymators include pepper spray, PAVA spray (nonivamide), CS gas, CR gas, CN gas, bromoacetone, xylyl bromide, syn-propanethial-S-oxide, and Mace, and household vinegar. The Ikhwan, also Akhwan, was the first Saudi army made up of traditionally nomadic tribesmen which formed a significant military force of the ruler Ibn Saud and played an important role in establishing him as ruler of most of the Arabian Peninsula in the Kingdom of Saudi Arabia. The Ikhwan later became the Saudi Arabian National Guard. The Battle of Sabilla was the main battle of the Ikhwan Revolt in northern Arabia between the rebellious Ikhwan forces and the army of Ibn Saud. It was the last major battle in which one side rode camels, as the Ikhwan emphasized radical conservatism and shunned technological modernization. The rebellious, but technologically mediocre, Ikhwan were decisively defeated by the Saudi forces, which included machine-guns and cavalry. Faisal al-Dawish, one of the three leaders of the rebellious Ikhwan tribes, was wounded in the battle. According to Ibn Saud Information Resource, his injury was "serious". Another leader, Sultan bin Bajad, allegedly fled the battle scene. He served in the Saudi Arabian National Guard from 1955  to 1973. [lower-alpha 1] He was thin and stood 6' 1½" (187 cm) according to his friends in the Saudi Arabian National Guard. The Saudi Arabian National Guard Forces or SANG also known as the White Army is one of the three major branches of the Military forces of the Kingdom of Saudi Arabia. The duty to base the Islamic faith on the Quran and the sunnah and not on the equivocal interpretations ( taqlid ) of the ulama and on their "incorrect" teachings in the schools and universities. The duty to reject all worshipers of the partners of God ( shirk ), including worshipers of Ali, Fatimah and Muhammad. ↑ Quandt, p. 94, gives 1972 as the date of his resignation; Graham and Wilson, ibid., say 1973; Dekmejian, p. 141, says "around 1974"
Muhammad ibn Abd al-Wahhab was a religious leader and theologian from Najd in central Arabia who founded the movement now called Wahhabism. Born to a family of jurists, Ibn 'Abd al-Wahhab's early education consisted of learning a fairly standard curriculum of orthodox jurisprudence according to the Hanbali school of law, which was the school of law most prevalent in his area of birth. Despite his initial rudimentary training in classical Sunni Muslim tradition, Ibn 'Abd al-Wahhab gradually became opposed to many of the most popular Sunni practices such as the visitation to and the veneration of the tombs of saints, which he felt amounted to heretical religious innovation or even idolatry. Despite his teachings being rejected and opposed by many of the most notable Sunni Muslim scholars of the period, including his own father and brother, Ibn 'Abd al-Wahhab charted a religio-political pact with Muhammad bin Saud to help him to establish the Emirate of Diriyah, the first Saudi state, and began a dynastic alliance and power-sharing arrangement between their families which continues to the present day in the Kingdom of Saudi Arabia. The Al ash-Sheikh, Saudi Arabia's leading religious family, are the descendants of Ibn ʿAbd al-Wahhab, and have historically led the ulama in the Saudi state, dominating the state's clerical institutions. The Salafi movement, also called Salafist movement, Salafiya, and Salafism, is a reform branch or revivalist movement within Sunni Islam that developed in Egypt in the late 19th century as a response to Western European imperialism, with roots in the 18th-century Wahhabi movement that originated in the Najd region of modern day Saudi Arabia. It advocated a return to the traditions of the salaf, the first three generations of Muslims, which include the generations of the Islamic Prophet Muhammad and his companions, their successors, and the successors of the successors. Abdul Aziz ibn Abdullah ibn Baz, was a Saudi Arabian Islamic scholar and a leading proponent of the Wahhabi form of Islam. He was the Grand Mufti of Saudi Arabia from 1993 until his death in 1999. According to French political scientist Gilles Kepel, Baz was a "figurehead for institutional" whose "immense religious erudition and his reputation for intransigence" gave him prestige among the population of Saudi Arabia and he "could reinforce the Saud family's policies through his influence with the masses of believers", and his death left the government without a comparable figure from within the Salafi clergy to "fill his shoes". The Grand Mosque seizure occurred during November and December 1979 when insurgents calling for the overthrow of the House of Saud took over Masjid al-Haram in Mecca, Saudi Arabia. The insurgents declared that the Mahdi had arrived in the form of one of their leaders – Mohammed Abdullah al-Qahtani – and called on Muslims to obey him. For nearly two weeks Saudi Special Forces, assisted by Pakistani and French commandos, fought battles to reclaim the compound. The Otaibah is a tribe originating in Saudi Arabia. Many members of the Saudi royal family descend maternally from the tribe, which is distributed throughout Saudi Arabia and the Middle East. The Otaibah are descended from the Bedouin. They trace back to the Mudar family and belong to the Qays ʿAylān confederacy through its previous name, Hawazin. Al-Ajman or al-'Ijman العجمي is an Arabian tribal confederation in Mid-Eastern Arabian Peninsula, with members spread across Saudi Arabia, Qatar, U.A.E. and the Kuwait. Sultan bin Bajad bin Hameed Al-Otaibi was a member of the Otaibah tribe and leader of the Ikhwan movement in Saudi Arabia. This movement was the virtual army that supported King Abdul-Aziz to build his kingdom between 1910 and 1927. Along with his colleague and friend Faisal Al-Dawish, he led the Arab tribal forces in the occupation of Al-Hasa, Ha'il, Al-Baha, Jizan, Asir and Mecca and Jeddah. He was illiterate and very religious—strongly believing in Salafi principles. The government does not conduct census on religion and ethnicity but some sources estimated the percentage of Shiites in Saudi Arabia from 15% to 20% of approximately 20 million natives of Saudi Arabia. The modern Kingdom of Saudi Arabia was formed in 1932 by the House of Saud, who are followers of a retroperspective movement within Sunni Islam known as Wahhabism or "the Wahhabite mission". Followers of the Wahhabite mission—who dominate religious institutions, courts and education of the kingdom—believe that "Muslims should return to the interpretation of Islam found in the classical texts, the Quran and the Sunnah." They also believe that "Muslims who seek intercession from holy men, such as the imams revered by Shiites, are not 'true' Muslims." While attempts to force conversion of Shiites have been infrequent, they face severe discrimination in Saudi Arabia and even executions. The Conquest of al-Hasa was achieved by the Saudi forces of ibn Saud with support from the Ikhwan in April 1913. The Oasis of al-Hasa was conquered from an Ottoman garrison, who had controlled the area since 1871. LIPIA is an educational institution established in Jakarta. The college is a branch of the Imam Muhammad ibn Saud Islamic University in Riyadh, Saudi Arabia. The main purpose is to teach Arabic and Islam. The college also teaches Wahhabi Madhab, a branch of Salafi. ↑ Krämer, Gudrun (2000). "Good Counsel to the King: The Islamist Opposition in Saudi Arabia, Jordan, and Morocco". In Joseph Kostiner. Middle East Monarchies: The Challenge of Modernity. BouHouse of Saudlder, CO: Lynne Rienner. p. 262. ISBN 1-55587-862-8. ↑ Graham, Douglas F.; Peter W. Wilson (1994). Saudi Arabia: The Coming Storm. Armonk, NY: M.E. Sharpe. p. 57. ISBN 1-56324-394-6. ↑ Commins, David (2009). The Wahhabi Mission and Saudi Arabia. I.B.Tauris. pp. 165–6. ↑ Abir, Mordechai (1988). Saudi Arabia in the Oil Era: Regime and Elites Conflict and Collaboration. Boulder, CO: Westview Press. p. 150. ISBN 0-8133-0643-4. ↑ Lacey 2009, p. 16. 1 2 3 4 "The Dream That Became A Nightmare" (PDF). Al Majalla. 1533. 20 November 2009. Archived from the original (PDF) on 15 July 2012. Retrieved 11 April 2013. ↑ Lacey 2009, p. 9. ↑ Lacey 2009, p. 17. ↑ Lacey 2009, p. 8. ↑ Commins, David (2009). The Wahhabi Mission and Saudi Arabia. I.B.Tauris. p. 166. As might be expected, a strict puritanical streak runs through Juhayman's writings on satanic innovations. Thus, to his mind, Islam forbids reproducing the human image. Likewise, he objected to the appearance of the king's likeness on the country's currency. As for the availability of alcohol, the broadcast of shameful images on television and the inclusion of women in the workplace, Juyhayman considered them all instance of Al Saud's indifference to upholding Islamic principles. ↑ Lacey 1981, p. 483. ↑ Graham & Wilson 1994, p. 57. ↑ The Makkan Siege: In Defense of Juhaymān Archived 2015-01-07 at the Wayback Machine ., p.7 pdf. A collection of internet articles. ↑ Quoted and summarized Dekmejian, R. Hrair (1985). Islam in Revolution: Fundamentalism in the Arab World. Syracuse, NY: Syracuse University Press. p. 142. ISBN 0-8156-2329-1. Wikimedia Commons has media related to Juhayman al-Otaybi . Abir, Mordechai (1988). Saudi Arabia in the Oil Era: Regime and Elites Conflict and Collaboration. Boulder, CO: Westview Press. ISBN 0-8133-0643-4. Dekmejian, R. Hrair (1985). Islam in Revolution: Fundamentalism in the Arab World. Syracuse, NY: Syracuse University Press. ISBN 0-8156-2329-1. Graham, Douglas F.; Wilson, Peter W. (1994). Saudi Arabia: The Coming Storm. Armonk, NY: M.E. Sharpe. ISBN 1-56324-394-6. Lacroix, S., & Holoch, G. (2011). Awakening Islam: The Politics of Religious Dissent in Contemporary Saudi Arabia. Cambridge, Mass: Harvard University Press. Krämer, Gudrun (2000). "Good Counsel to the King: The Islamist Opposition in Saudi Arabia, Jordan, and Morocco". In Joseph Kostiner. Middle East Monarchies: The Challenge of Modernity. Boulder, CO: Lynne Rienner. pp. 257–287. ISBN 1-55587-862-8. Lacey, Robert (1981). The Kingdom. New York, NY: Harcourt Brace Jovanovich. ISBN 0-15-147260-2. Lacey, Robert (2009-10-15). Inside the Kingdom: Kings, Clerics, Modernists, Terrorists, and the Struggle for Saudi Arabia. Penguin Group US. ISBN 9781101140734. Lunn, John (2002). "Saudi Arabia: History". The Middle East and North Africa 2003 (49 ed.). Routledge. ISBN 978-1-85743-132-2. Quandt, William B. (1981). Saudi Arabia in the 1980s: Foreign Policy, Security, and Oil. Washington, D.C.: Brookings Institution. ISBN 0-8157-7286-6. Ruthven, Malise (2000). 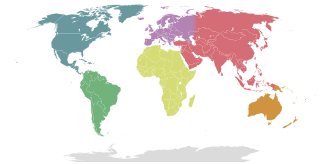 Islam in the World. Oxford: Oxford University Press. ISBN 0-19-513841-4. Trofimov, Yaroslav (2007). The Siege of Mecca: The Forgotten Uprising in Islam's Holiest Shrine and the Birth of Al Qaeda . New York: Doubleday. ISBN 978-0-385-51925-0.